When you can't decide on one vivid hue, you can have them all with these dazzling color change LED lights! Our commercial quality stringers and energy efficient C7 LED color change bulbs combine to create an exceptionally long lasting, weather resistant, professional quality display that will save you time and money! Hang these bold beauties from the roof or stake them along the driveway to create eye catching light displays with ease this Christmas! We just lit our house for the first time, Thanksgiving night 2017, with these. They are great! When they first come on, they are all in sync. As the evening goes on, they deviate from each other and the house becomes more random. They cycle through the stated colors. Looks great from way down the street. Classy and interesting. I look forward to using them for many years on our new home. I wanted to install lights that would look attractive and neat, use less electricity and allow for easy removal and re-installation for the next year. The lights look great. The changing colors are slow and subtle. 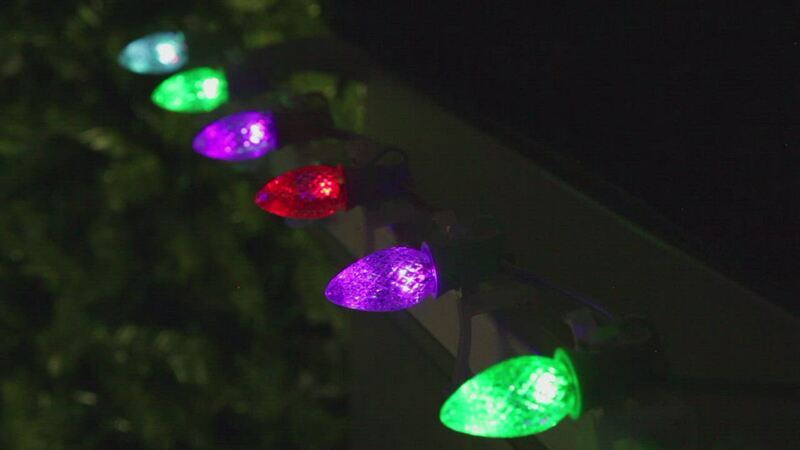 The bulbs themselves are clear, but turn various colors once plugged in. We really love the look.